Being able to add St Paul Skete to my itinerary was a surprise blessing. Our schedules had not yet aligned when I set out for Missouri, so when I received an email from the Superior, Mother Nektaria, with some prospective dates that coincided perfectly with my return trip from Holy Archangel Michael and All Saints Skete (and a presentation at Holy Trinity in Kansas City), I immediately confirmed with her. We already know each other, having met a few times over the years, and this was my first visit to this small women’s skete. The beautiful grounds and roomy, comfortable guest house complement the chapel set in the center of the main complex of buildings. The small, log-cabin style construction with vaulted roof gives the chapel a warm and embracing, yet “airy,” open feel, and definitely feels “prayed in,” featuring some beautiful hand-painted icons and a unique altar with canopy, with many smaller icons donated by pilgrims and benefactors. 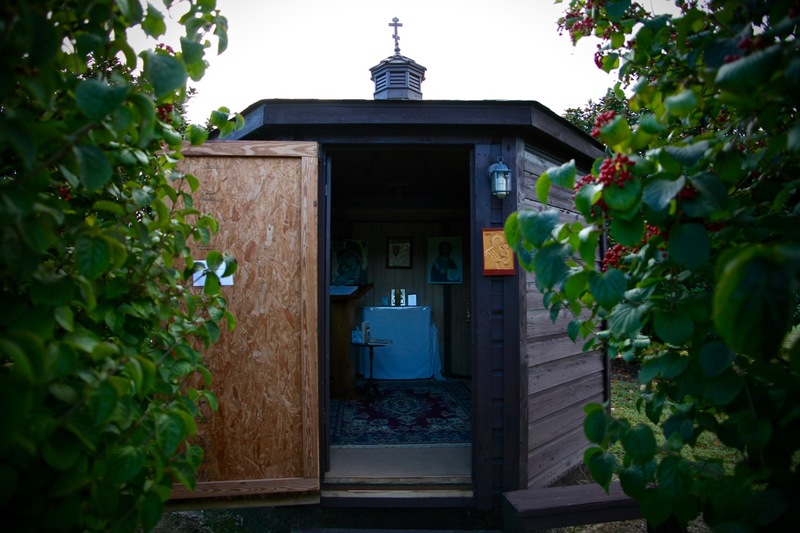 A tiny second chapel sits about a hundred yards down a gravel path, an easy walk from the guest house. Dedicated to St Anna, mother of the Virgin Mary, this little jewel of a chapel is ideal for keeping the Hours or Compline, or occasional akathists to the saints. There is a unique third “chapel”, which was constructed as a storm shelter, built into a hill and equipped with a steel door and vents, but which seems ideal for hiding away like a cave dweller ascetic. A chair and small table, with diptych and prayer rope, and a couple of icon prints, greet the pilgrim. 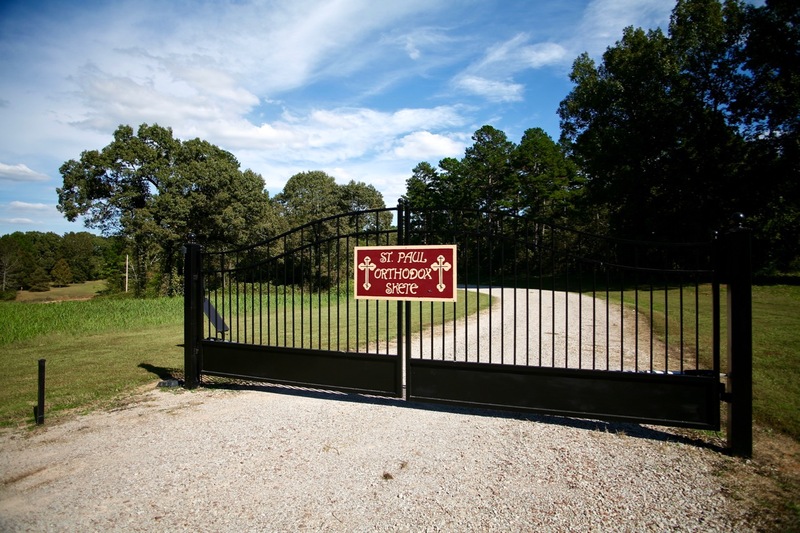 One of the few monastic settlements in the Antiochian Archdiocese, St Paul Skete offers a fine retreat experience, and is a modest drive from Memphis, with Nashville and Birmingham only slightly further away. St Paul Skete contact page and info for pilgrims on the Antiochian Archdiocese website. Main complex, with St John Damascene Chapel at left, and the main monastery house at right, with a workshop and small tool shed. Interior of St Anna Chapel. Entering the main chapel, dedicated to St John Damascene. Mother Nektaria lights the lampada over the altar. Ringing the bells, seen through the chapel window. Gladsome light, through the side door of the main chapel. One of the rooms in the cozy guest house.